Technically, this is the official first album released by The First Edition to be credited to Kenny Rogers & The First Edition, the first three albums listing the group as simply The First Edition. 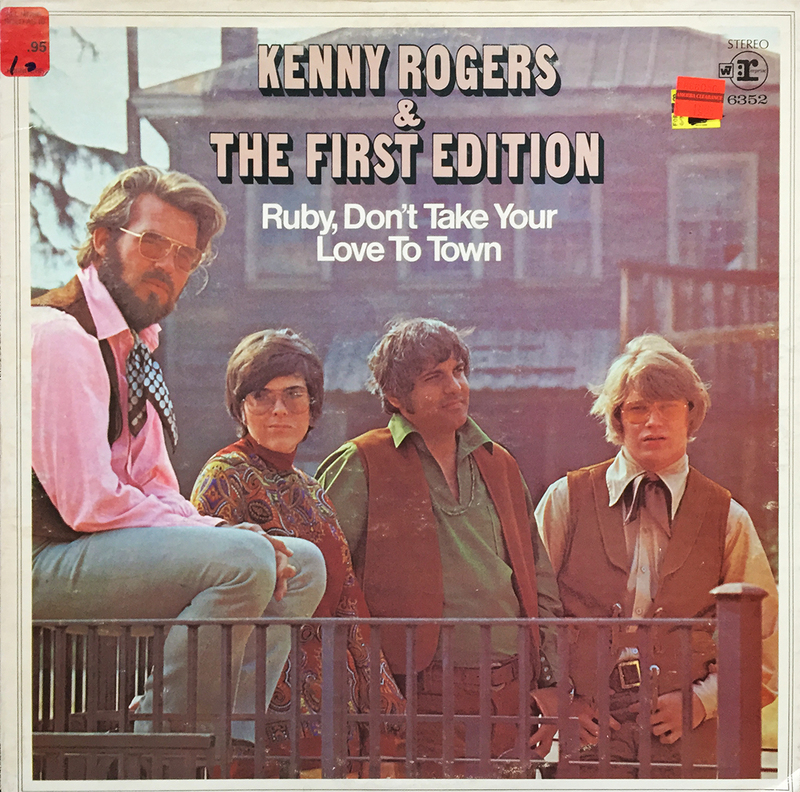 Ruby, Don’t Take Your Love to Town dropped in 1969, and features the ensemble’s rendition of the Kris Kristofferson-written classic, Me and Bobby McGee. A brief recording history of this song… Roger Miller was the first to record it in ’69, followed by Gordon Lightfoot, then arguably most notably by Janis Joplin in ’70, just a few days before her death. The track is number two on side A, and is a great one-two punch following this album’s title track.